Please read the following conditions. Prices are subject to 5% GST on the full amount. All reservations are accepted on a first come – first serve bases . Full payment for advanced reservations are due September 30. Reservations made after September 30 full payment is due 12 weeks prior. If we do not receive deposits and payments when due, we will have to assume you are not coming and we reserve the right to re-sell your space. Any payments made are non-refundable. Any days missed due to inclement weather or any other reason beyond our control are non-refundable. Insurance: extended medical and cancellation insurance is available and recommended, call your travel agent for more information. winter reservations include helicopter transport in. Weight restrictions do apply. If you require an extra flight or an evacuation, the cost will be your responsibility. 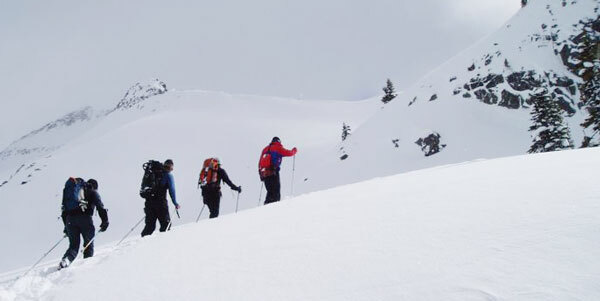 Self-Guided Groups: Individuals or groups opting to reserve non-guided are expected to be self-sufficient and competent in regards to accessing terrain, snow stability evaluation, first aid and mountain rescue. By submitting the form as an individual or group organizer, I understand and agree to the reservation policies, the waiver, the fine print, the Pre-Tour Info & all information made available to me. I will also refer any other individuals that will be joining me to the MHR website for all detailed information.